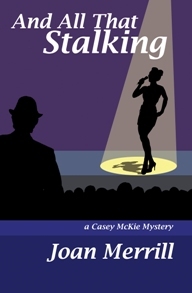 When singer and club owner Dee Jefferson asks Casey to check into the supposed suicide of a long-time friend, Casey hesitates. She doesn’t believe he was murdered, since all signs point to suicide. But, friendship wins out, and Casey reluctantly agrees, believing it will be easy to disprove Dee’s theory. 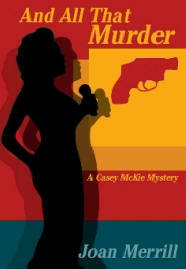 After a second body is found, Casey decides Dee is right – someone may be targeting people from the jazz community. And she fears Dee herself may be the killer's next victim. Casey travels from San Francisco to Palm Springs to Seattle, with her quest culminating in a harrowing confrontation with the deadly murderer. 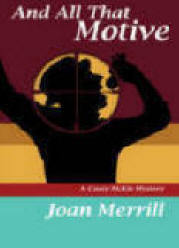 "Joan Merrill is not alone is bringing jazz into crime writing. Many other writers have done it, myself included. But Merrill has gone further than most and her first novel is set entirely in the jazz world. Almost all of her characters, major and minor, are jazz people: singers, instrumentalists, agents, promoters and fans. Her lead character, San Francisco-based PI Casey McKie, is a smart, tough, straight-talking (and when necessary straight-shooting) PI and one of the most original characters to come along in years. The dark side of San Francisco is where Casey works. in her free time, she indulges her passion for jazz, frequenting her best friend’s jazz club in North Beach. Audio book of Madness is available now. Others in production.